tessitura (Italian, meaning "texture") describes the range in which a given type of voice presents its best-sounding texture or timbre. Tessitoura was founded in 2010 and has since then gone from strength to strength. 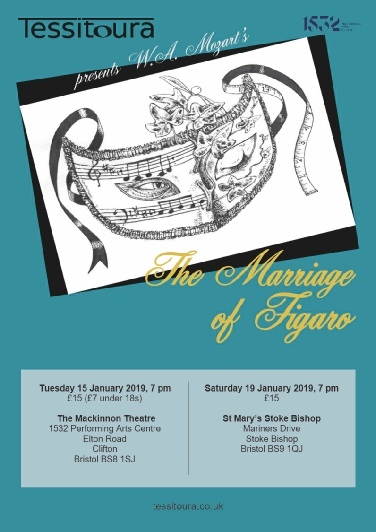 The idea was to create an opera experience for opera lovers and novices alike, performed in unusual venues by experienced performers and aspiring young singers, accompanied by a small chamber orchestra. And here we are! Over the years we have grown and most recently we added a Schools Programme, which we are very proud of and thoroughly enjoy. Come and enjoy opera in a completely new, exciting and unusual way.